Portasilo is celebrating 60 years at the forefront of the UK’s bulk storage and handling industry. Six decades of innovation have enabled the York-based company to buck the trend in UK manufacturing, sustaining continued growth and winning major contracts worldwide. Unlike many competitors, Portasilo has built up the in-house expertise and resources to provide complete turnkey solutions for its customers. It specialises in delivering complex bulk material handling systems, offering every aspect of a project, from feasibility studies and designing bespoke storage and handling systems, through to manufacturing, installing and commissioning them on site, and even providing ongoing technical support services. Customer service and technical expertise is critical to the value that the company consistently delivers to many blue chip organisations that it has successful long-standing relationships with. Portasilo has an extensive project portfolio within the power sector; it has worked for the majority of the key players, including EDF, Babcock’s, Doosan and AWE. It has some world-leading installations as reference sites, including Drax, Sellafield Dounreay and Sizewell. To find out more, please visit our website. The product portfolio consists of an extensive range of market-leading products and services that can be applied within the energy sector. Portasilo is an expert in delivering turnkey packages that include but are not limited to the following products; bespoke and standard silos, mechanical, vibratory and aeration dischargers, mechanical and pneumatic conveying systems, plus a host of ancillary supporting components and advanced safety systems. Portasilo develops solutions that combine cutting-edge products to create storage and handling solutions to suit the specific demands of your site, delivering efficient, reliable and high-performance solutions. Every plant Portasilo works with and every material has different requirements, so there are no ‘off-the-shelf’ solutions. Instead, the company use leading industry knowledge and experience to develop systems tailored to the needs of each customer. By creating an optimum handling system for each project, Portasilo helps its customers to improve their own processes, performance and efficiency. Developing bespoke storage and handling systems for specific materials requires a clear understanding of their properties. Portasilo has invested in an advanced testing laboratory where complex material properties can be accurately assessed. This scientific insight enables Portasilo to devise the best storage, discharge and conveying system for each material. The group’s mission is to provide high professional standards and innovations across all its brands. Portasilo is in a strong position to meet the demands of customers across many established and emerging industries, handling some of the most volatile, dusty and hazardous dry bulk materials, on any scale, in any location. Portasilo is part of the Shepherd Group, which is one of the leading family-owned private businesses in the UK. It was founded in 1890 in York and its head offices remain in the city. The group’s operations in national and international markets include substantial companies in construction and engineering, manufacturing and property development. Apprentices at York-based Portasilo have been recognised for their talent and dedication at the annual Apprentice of the Year Awards, held by the Derwent Training Association (DTA). Portasilo designs and produces versatile silos that can be customised to meet specific requirements. 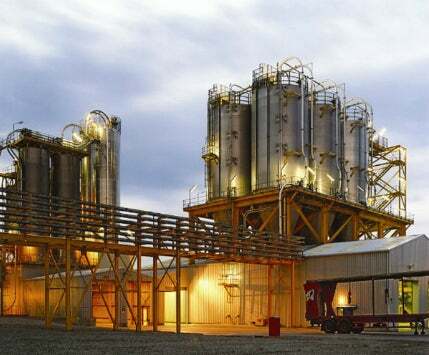 All silos are robust, high-performance units that meet all types and quantities of material. Portasilo is celebrating 60 years at the forefront of the UK's bulk storage and handling industry. Six decades of innovation have enabled the York-based company to buck the trend in UK manufacturing, sustaining continued growth and winning major contracts worldwide.